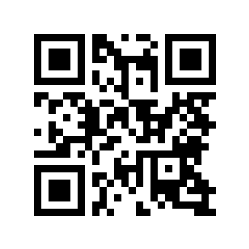 Quick response codes or QR codes are really neat and I encourage you to check out my Visualead QR code post. With QR Voice a QR code can be communicated through voice. This site is really simple but could have great implementations within the classroom. QR Voice only allows users to input 100 characters to create a QR code that can be then scanned and the message will be read aloud. Try it out for yourself, its pretty neat and the best part is that its FREE! Just use any QR code scanner to reveal the message below.